Welcome to 107 Dolphin View Court in the desired Mimosa Bay waterfront community. This meticulously maintained home is located at the end of a private cul de sac on a large .61 acre home site that backs to the woods. 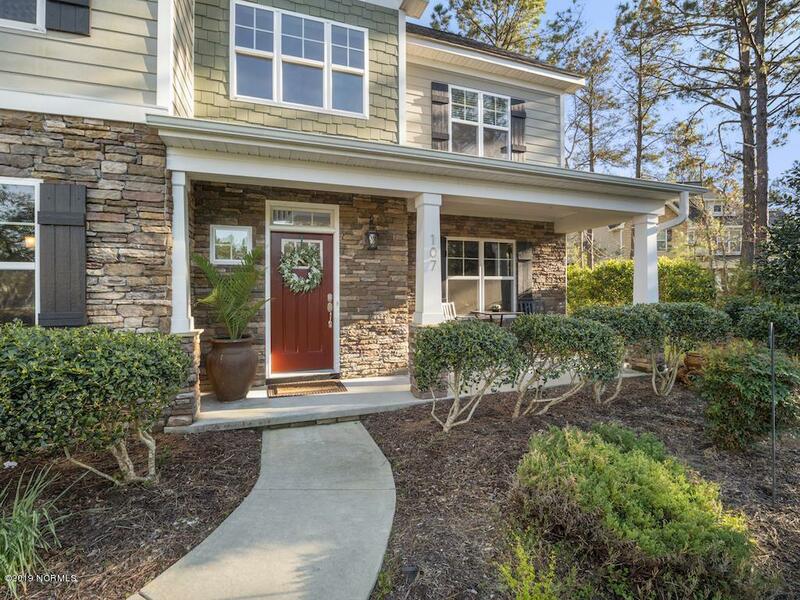 From the moment you pull up you notice the well kept curb appeal, stone and cedar shake accents that provide that coveted cottage appeal. 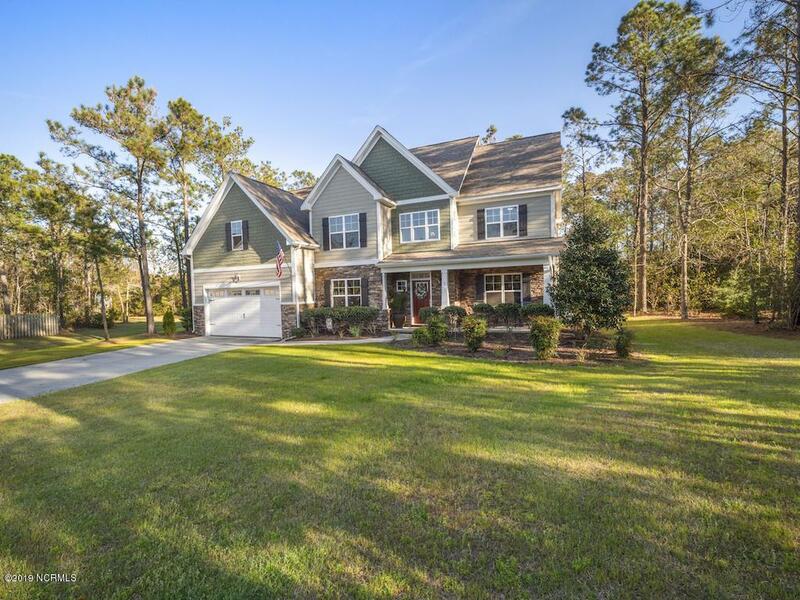 The 2 story foyer welcomes you into the home where you have a home office off to the right and a formal dining room with gorgeous cross coffer ceilings & wainscoting to the left. The foyer then leads into the spacious family room. The family room is complete with views of the private back yard, gas log fire place with tile surround and is wide open to the kitchen and breakfast nook. The gourmet kitchen has it all. New samsung blackstainless appliances including a gas range and refrigerator, granite counters, tile backsplash, large center island, walk in pantry, ample storage with the abundance of cabinet and counter space and a wine fridge. There is a breakfast nook off of the kitchen and access to the paradise like backyard. There is a mudroom area, guest bedroom and a full bathroom on the main floor. The second floor hosts the master en suite, two additional bedrooms, full bath, media room, laundry room and a walk in attic space. The master ensuite is gracious in size and has been completely updated to include, fresh paint, new tile flooring, new tile shower with glass door, fixtures and a closet shelving system in the walk in closet that you will love. Bedrooms 2 and 3 are also a good size with vaulted ceilings and plenty of closet space. The media/bonus room is a great multi purpose space and provides a closet. The laundry room is on the 2nd floor and also provides access to the large walk in storage area. The backyard is a well crafted paradise, weather you enjoy listening to the birds chips, the waves roll off the ocean or entertaining with family and friends you are sure to love this space. There is a large custom built deck approx 750 sq ft with a pergola on one side and a covered area on the other providing a great space for an outdoor TV, music system, fire pit, hot tub...etc. There is also a hardscape with a fire pit and an additional open patio. The back yard is a good size for children, pets and family to enjoy all year around. There is a 12x16 storage shed in the back that conveys with the home. 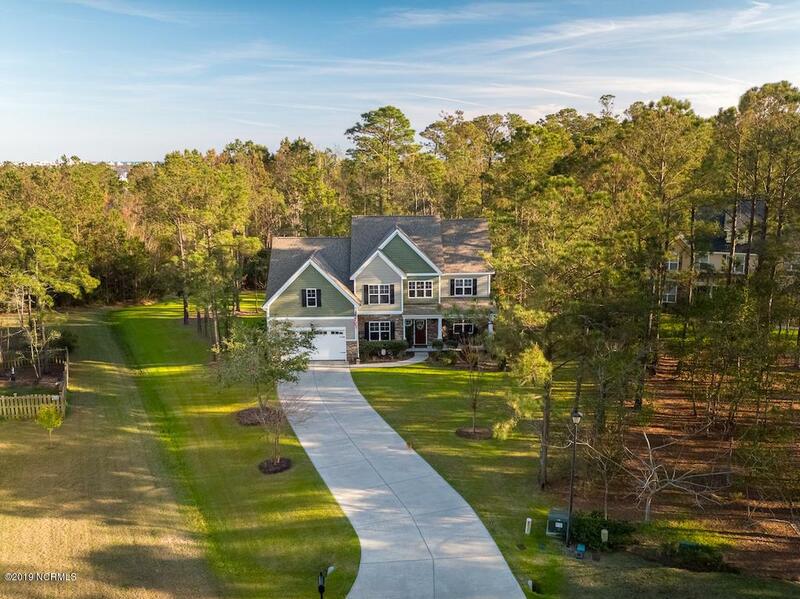 Mimosa Bay is a gated waterfront community that offers a club house, pool, boat ramp & pier, parking storage lot, play ground and fitness center all in a great location, less than 10 minutes to area beaches and just a short commute to Jacksonville, Camp Lejeune and Wilmington. Schedule your private tour of this beautiful home before its gone, you don't want to miss this one. Listing provided courtesy of Renee L Clark of Coldwell Banker Sea Coast Advantage.